Our rainy days feels like summer again for the last few days. Thank you global warming, ugh! iced tea is finally having its moment at home. 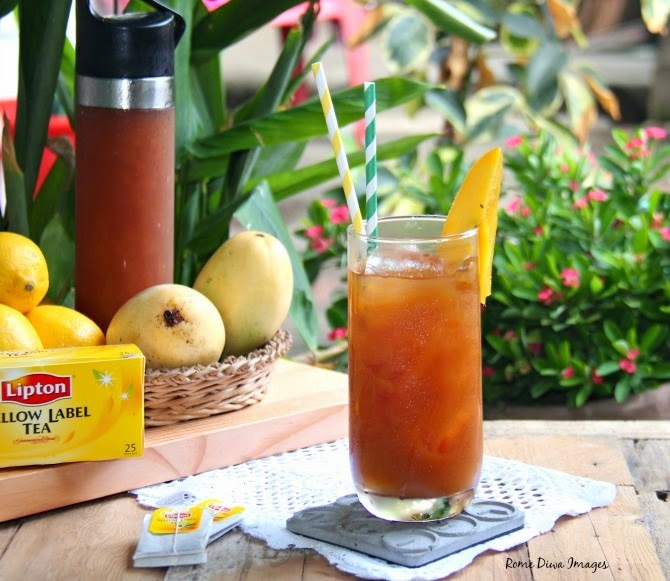 The splendor of gourmet mango iced tea bottles made from home is hard to beat. My tea's flavor needs to be vivid, fruity and refreshing... and yes, it is! Shun filthy, instant, and old powdered tea that smell of sweaty socks for my ultimate drink that buzz with fruit and finesse. Fruity, gourmet tea is really... a gorgeous summer brew. Cheers! Bring water to a boil, turn off heat add tea bags and steep until tea is dark, about 5 minutes. 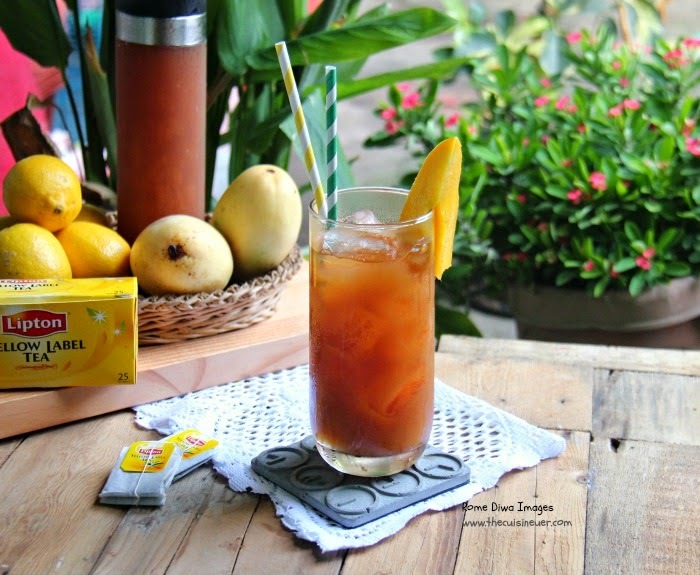 Remove bags, add mango nectar and add sugar, to taste. Stir until sugar is dissolved. 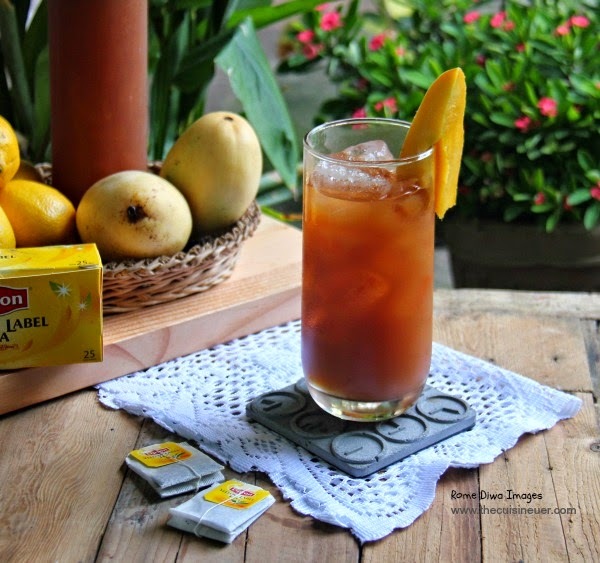 You now have a mango-iced tea concentrate that you can consume until supply lasts. Pour in a glass, put some ice over and garnish with mango slices.